A great place to see dippers, Arctic Terns, waterfowl, and Bald Eagles – and some of the best scenery in the world. This is one of my favorite places in Alaska. In addition to great birding, the scenery is some of the best in the world. Extensive deciduous forests are rare in southeast Alaska, giving the area special appeal for birds and birders alike. A quick walk around the visitor center can net a surprising number of local specialties. American Dippers breed along Steep Creek, and the nearby ponds attract Harlequin Duck, Common Merganser, and other waterfowl. Bald Eagles often perch on the icebergs in Mendenhall Lake. And the Arctic Tern colony (May-August) at Photo Point is always entertaining. Matthew Brooks is the education outreach specialist for the Tucson Audubon Society. He also wrote about Sabino Canyon, Tucson, Arizona, Hotspot Near You No. 34, Sweetwater Wetlands, Tucson, Arizona, No. 79, and Mesilla Valley Bosque State Park, Las Cruces, New Mexico, No. 103. 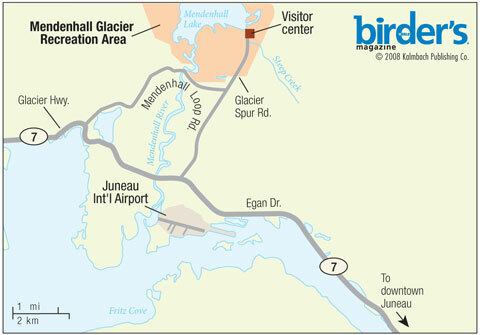 The Mendenhall Glacier is an often-visited natural wonder and birding hotspot 12 miles from Juneau, Alaska. From downtown, head northwest on Egan Dr. for 8 miles. Turn north (right) on Mendenhall Loop Rd. and continue straight onto Glacier Spur Rd., which ends at the visitor center. Deciduous forest transitioning to Sitka spruce and western hemlock. Also wetlands, ponds, mudflats, and gravel beaches. The Dredge Lakes area and Moraine Ecology Trail are mainly flat, and the Steep Creek loop is wheelchair-accessible. Residents: Bald Eagle, Winter Wren, American Dipper, Sooty Grouse, Chestnut-backed Chickadee, Brown Creeper. 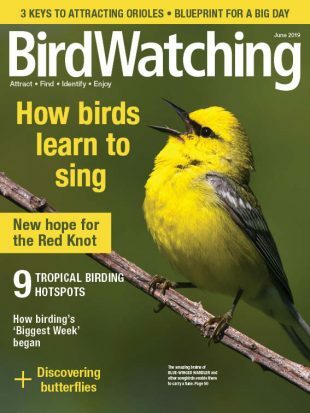 Summer: Arctic Tern, Harlequin Duck, Swainson’s, Hermit, and Varied Thrushes, Warbling Vireo, Pacific-slope Flycatcher, Townsend’s and Yellow Warblers, American Redstart (rare). Winter: Bohemian Waxwing, Black-billed Magpie, Red Crossbill, Common Redpoll, and White-tailed, Rock, and Willow Ptarmigan. Rarities: Lesser Black-backed Gull, Common Nighthawk, Red-eyed Vireo, Tennessee and MacGillivray’s Warblers, Gray-cheeked Thrush, Evening and Black-headed Grosbeaks, and White-throated Sparrow. Late April to late September for the most birds, but a winter visit can be a stunning experience. Trail guides, restrooms, and water fountains at visitor center. Federal Recreation Area (Tongass National Forest). Admission free. Open 6-10 year-round. Visitor center ($3 fee) open 8-7:30 during the summer. Call for winter hours. 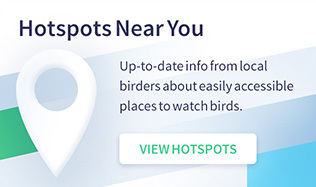 Mornings and late afternoons are best for birding during the summer tourist season. Be prepared for rain, muddy trails, and cold temperatures. Bear sightings are common during the salmon run (July-November). Mendenhall Glacier Recreation Area, (907) 789-0097.